You just had dinner but you’re still hungry and waiting for breakfast is not a option, what do you do? 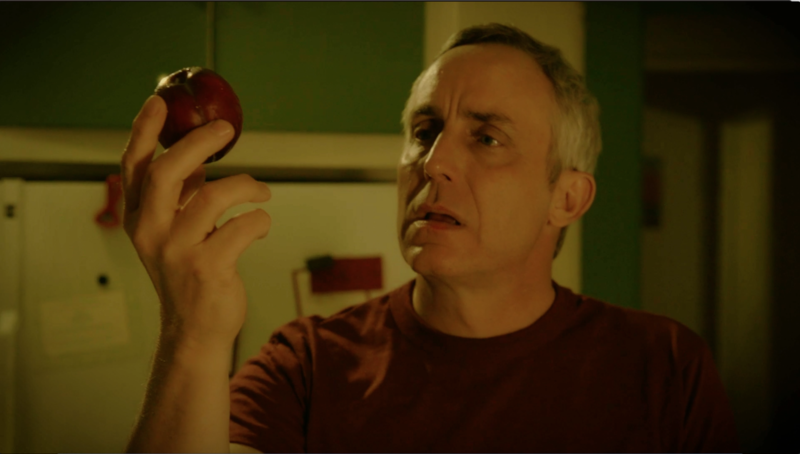 Harry (Wallace Langham) goes through his fridge and finds soft appetizing plums. Even though his wife left a note telling everyone in the household not to eat it, he still decides to eat it and enjoy them all by himself. It almost becomes an orgasmic experience for him. 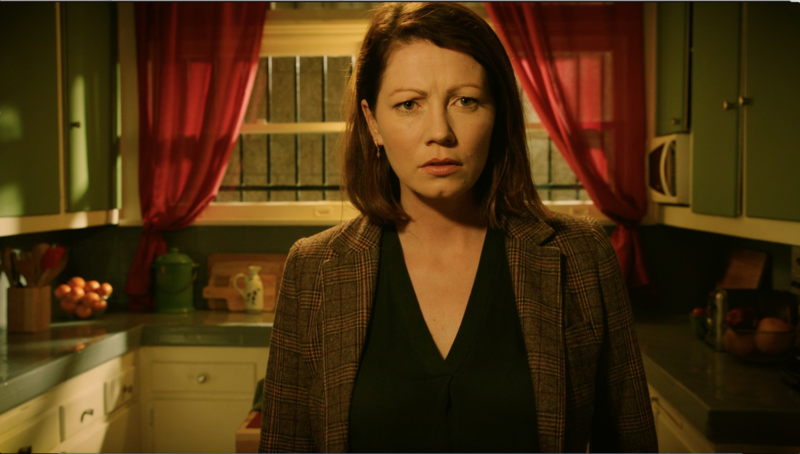 However, that moment of weakness begins a war between him and his wife Abby (Jessica Oyelowo). After discovering her husband’s deed, Abby takes revenge by destroying his precious car. The couple continue taking revenge on one another all while living with Harry’s father (M. Emmet Walsh). But what if payback turns into a more hateful deed? With only eight minutes on the clock, this short film immediately draws you in. There is almost no dialogue as the story is being told via voice-overs. Because of that decision, the facial appearances from the actors need to be spot on. Langham (“Taken 3”, “Battle of the Sexes”) faced a lot of evil as David Hodges in “CSI: Crime Scene Investigation”, but the only evil his character had to “face” in this film is the wife (even though he was the one who started it). Because of Langham’s exquisite portrayal, we feel the hunger (in more than one sense of the word), lust and determination all the way through the screen. Alongside him, we see the lovely and intriguing Oyelowo as the feisty, resolute and “out-for-the-win” wife. The chemistry between Langham and Oyelowo is electrifying. Walsh (“Faith, Hope & Love”, “Calvary”) is immensely entertaining as the annoying father of Harry. So far there’s no UK date announced on when “Sorry, Not Sorry” will be released but for those of you living in Cleveland or in Florida, you’re in luck. The movie will be screening multiple times at this years’ Cleveland International Film Festival and at Florida Film Festival. If you want to see a hilarious, witty but also a dark and sinister story about a married couple, buy a ticket and watch Sorry, Not Sorry! You won’t regret it!